A search operation is underway to nab the terrorists. More details in the incident awaited. 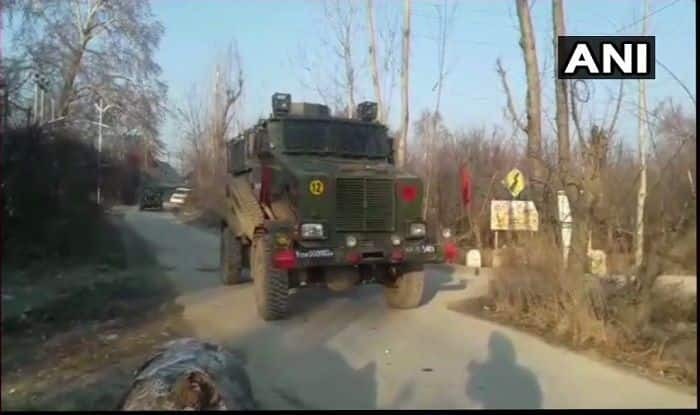 New Delhi: An encounter broke out between security forces and terrorists in Aripal village of Tral area in Jammu and Kashmir, news agency ANI reported on Saturday. Mobile internet services have been snapped in the area. The area has been cordoned off and a search operation is underway to nab the terrorists. More details in the incident awaited. Police said the security forces started a cordon and search operation in Aripal village in Tral area after receiving information about the presence of militants there. “The militants, who were hiding, fired at the surrounding security forces, triggering an encounter which is underway,” police said. The incident comes two days after three terrorists were killed in an encounter with the security forces in Pulwama district. A soldier was injured in the operation that was launched in the higher reaches of Tral area during wee hours. “Three militants have been killed, while one soldier was injured in the operation,” an Army official had informed PTI. The security forces had launched an anti-insurgency operation in Gulshanpora following information about the presence of at least two militants in the forests. The search operation turned into an encounter when the militants, who were hiding, opened fire. The development came two days after terrorists killed a Special Police Officer (SPO) in the district. The deceased SPO was identified as Sameer Ahmad Mir from Hajin Payeen village. On Saturday, December 29, four terrorists were killed in an encounter with security forces in Pulwama. A cordon and search operation was launched in Hajan area by the security forces after receiving specific information about the presence of militants there. During CASO, the ultras opened fire at the search party and soon the gunfight ensued. Weapons and other warlike stores were found at the encounter site, an Army official informed while briefing about the encounter.